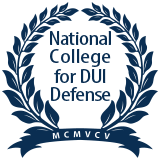 If you or a loved one are in need of aggressive yet affordable defense for DWI/DUI charges or Criminal Defense in Lubbock, call Nicky Boatwright at 806.747.8002, toll free at 888.697.2919 or contact me online. I am here to help. With more than 15 years of experience, I can answer your questions and put your mind at ease. You deserve a strong fight for your rights. Contact me today for your free initial consultation. I am on call 24 hours a day.